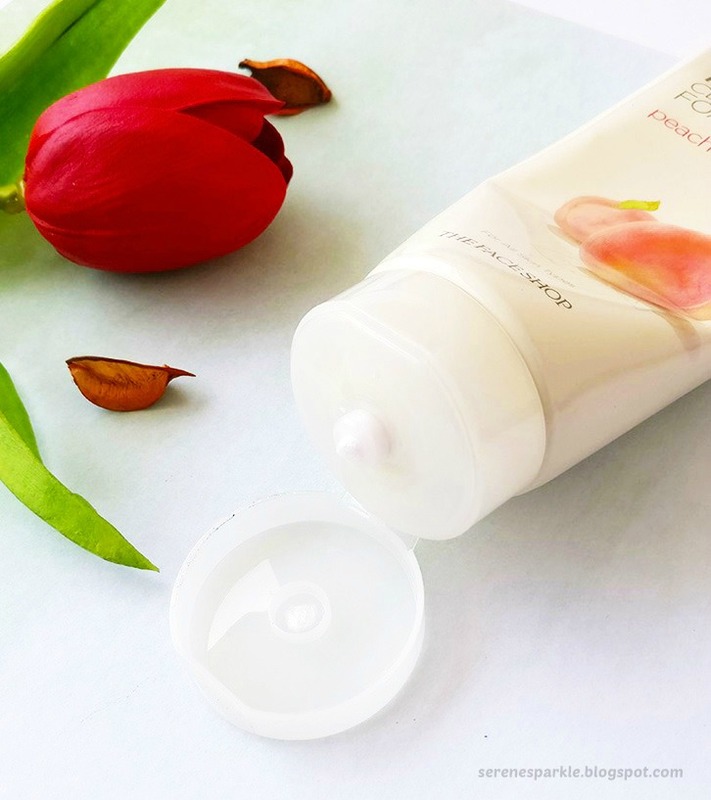 A mild type of cleansing foam with peach extract, this formula by face shop leaves your skin super fresh and clean ! This formula penetrates deep into your pores to remove impurities & build-up that can cause clogged pores and ugly blackheads. 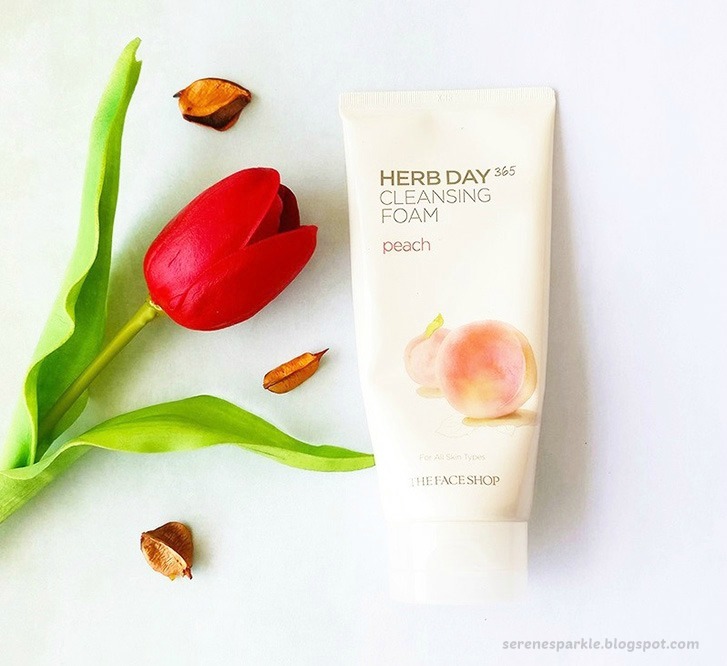 Enriched with pure peach and nine kinds of herb extracts, this lovely foam provides moisture and nutrition that leaves skin soft, clear, elastic and youthful. Perfect for all skin types, this beauty essential is an absolute must have ! The rich essence of this foam with great cleansing properties softens the skin. Created to give you a Korean beauty experience. It has a soft and fluffy texture, you need very little quantity for this to foam up. 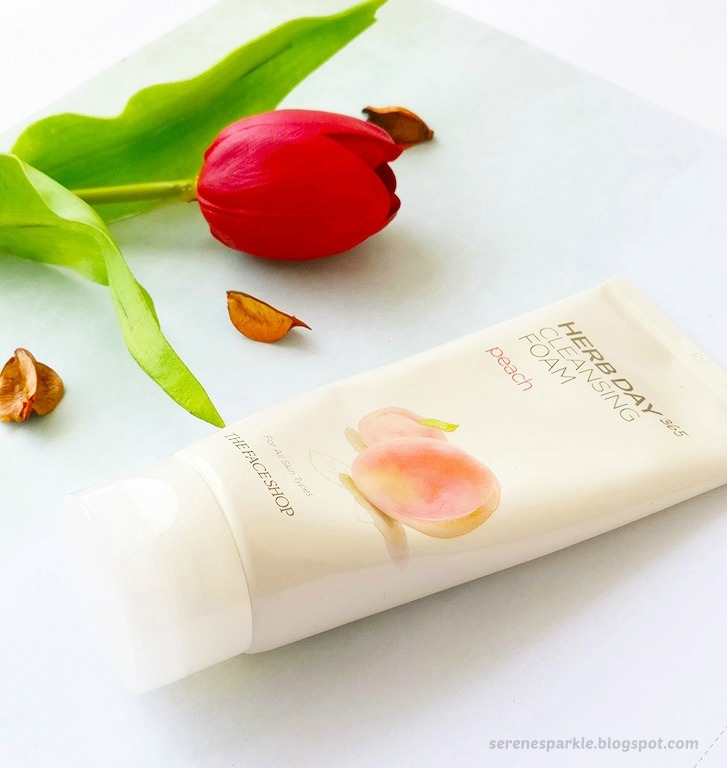 While cleaning it feels super gentle and guys, the peach scent is so delightful and refreshing, especially in this harsh summertime, it feels very pleasant. When I first tried it I had a dryness patch on my left cheek......(well, clearly not a nice time to try out a foaming face wash but I used it anyway 😛) and it left my skin feeling, even more, peeling and dry. It became really flaky actually (I was slathering my winter moisturiser on my skin to deal with such horrible dryness). There was no brightening or glowing effect either. So, I just stopped using it. But now (by 'now' I mean from past one week) that my skin is back to normal with a faint hint of oiliness, I can see this cleansing foam working on my skin. It cleans without being excessively drying. It also removes light makeup residue. Though I still didn't notice any brightening effect post cleansing but it does its job decently as an everyday face cleanser at this price point. I will recommend this only to people with oily skin and if you've dry skin then just stay away from this. The brand advertises this foaming cleanser for all skin types but it is definitely not for dry skin. Which cleanser are you using currently ? Have you tried the face shop yet ? As an oily complected gal, this wash sounds like it's right up my alley! I use a deep cleansing oil in the winter months, but a cleanser like this would definitely suit me more in the summer. I've never tried powder face wash, though the concept sounds interesting and glad that it's working for you. I like using foaming cleansers when my skin turns really oily. This sounds good for the combination skin too, would love to try out this :) Lovely review.